Our Odessa fixtures are handsome lights that can add a touch of class to most any room. They feature heavy spun rings and curving profile straps. 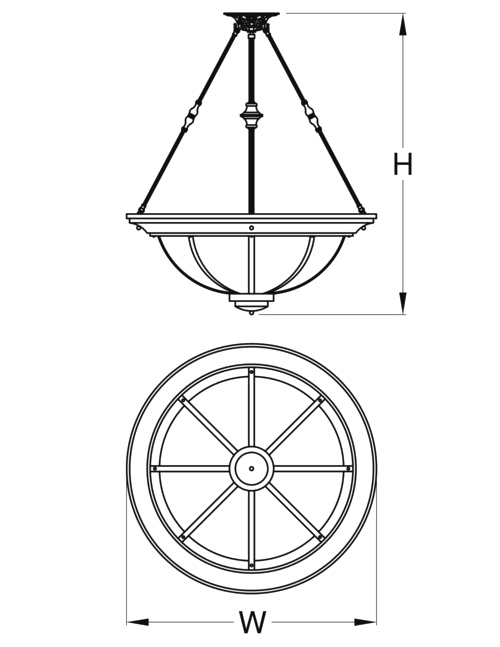 Pendants hang from ribbed rod supports and cast canopies.